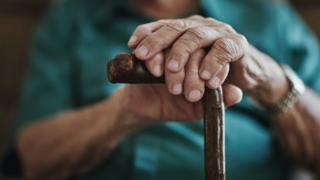 More than 400 people in their 80s and 90s who have been the subjects of a decades-long research project are being reunited at an event in Edinburgh. The group are part of an experiment to chart how a person's thinking power changes over their lifetime. The reunion takes place 70 years to the day since many of the participants sat an intelligence test in the 1947 Scottish Mental Survey. Some of the group - members of the Lothian Birth Cohort 1921 - are 96. The other group involved in the study, from the 1936 cohort, are now aged 81. They will meet the University of Edinburgh researchers behind the project to mark their achievements on the understanding of the ageing brain. As well as regularly re-sitting mental tests, both groups have, in the recent decades, taken three-yearly medical examinations, including blood and ultrasound tests, brain scans and retina examinations in older age. They have also reported on their diet, social background, activity and feelings of wellbeing. Researchers have looked at a number of mental and physical functions of the group as they grow older including memory, speed of thinking, and many aspects of fitness and health. During the reunion of the Lothian Birth Cohort, the researchers will reveal some of their key findings. The University of Edinburgh's Prof Ian Deary, who originated and leads the study, said: "These anniversaries of Scotland's national intelligence testing in June 1932 and 1947 are a lovely way to bring these special individuals together to celebrate what they have contributed to ageing science. "From the start of the Lothian studies, almost 20 years ago, I've made sure that the participants see their basic results before we report them. "Of course, it's also a happy occasion in which to have a good blether and to swap the pleasures and pains of growing older." The project has been funded by Age UK.